Donut Bar - which currently has stores open in downtown San Diego, Las Vegas, and Scottsdale - is in the process of a franchising expansion that will result in more than a dozen locations, including at least four new area outposts. First to debut is a branch in Oceanside, followed by a location moving into the former Stuffed! space in Pacific Beach. 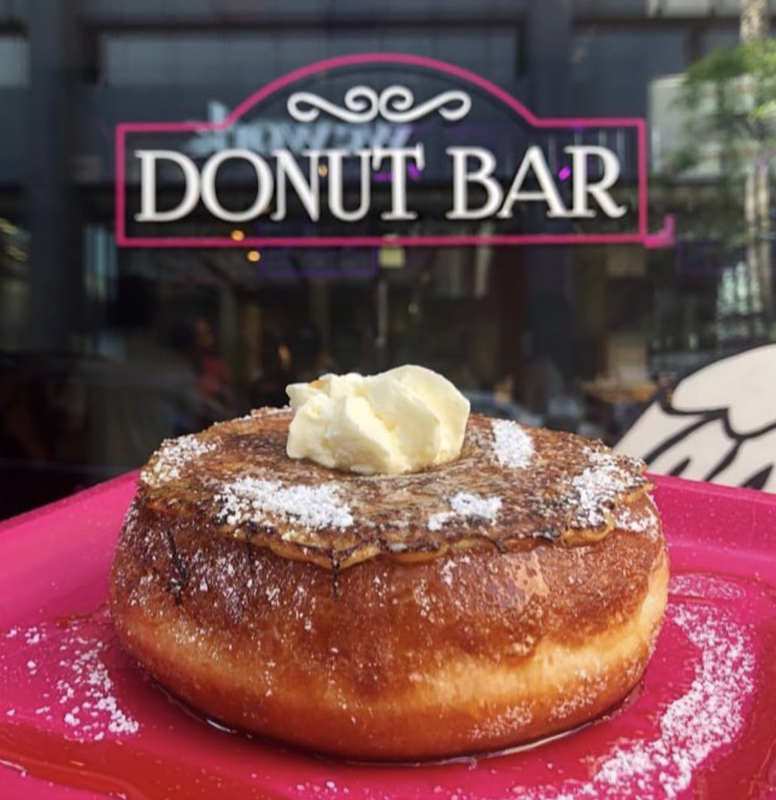 Founded by former professional pastry chef Santiago Campa and his partner Wendy Bartels, Donut Bar first opened on B Street in downtown San Diego in 2013 and has since launched stores in Orange County, which has since closed, Las Vegas, and Scottsdale. In mid-2016, the company announced that it would be embarking on a franchising expansion effort. That same year, Donut Bar also began opening on weekend evenings and offering craft beer pairings to go along with donuts. Next year, Donut Bar plans to open at least 4 more San Diego locations, as well as branches in Pasadena, Temucula, North Hollywood, Sacramento, Riverside, Anaheim & Tucson. The first new San Diego outpost will be at 2221 S El Camino Real, Suite A, in the newly remodeled Camino Town & Country Shopping Center in Oceanside and will be operated by franchisee Ahmed Elemary. Another branch will open at 1380 Garnet Avenue in the space left dormant by the recent closure of Stuffed! Burgers. The PB branch will be owned by Rose Wong. Other San Diego stores will open in Westfield UTC and Chula Vista. For more information, visit donutbar.com.